We are pleased to announced new improved content for our Early Morning Product. From 1st December, Australian horse racing from Melbourne Racing Club and South Australia is included in the service, in addition to racing from South Korea and Mauritius, with other horse racing to be announced shortly. UK & Irish greyhound racing are being phased into the service for the first time, with three early morning fixtures from Henlow and Harlow already operational. An additional two early morning fixtures from Kilkenny and Kilcohan Park are being added to the service in December and January respectively. By the new year there will be early morning fixtures from UK & Irish greyhound tracks five mornings a week, with a further morning fixture planned. This new Early Morning content replaces SIS’s existing early morning Australian racing, which ceased to be part of the SIS service on 30th November. All of the live racing is interspersed with quality virtual racing content as well as numbers games from 49’s. 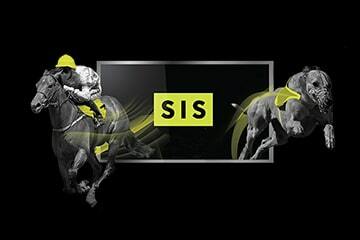 Paul Witten, Product Director at SIS, said: “This new early morning horse and greyhound racing content bolsters our Early Morning Product, which is valued by our customers across the world, and provides our customers with an improved content offering. “We are delighted to be able to offer a broader range of early morning international horse racing, and quality early morning UK & Irish greyhound racing to our customers”.